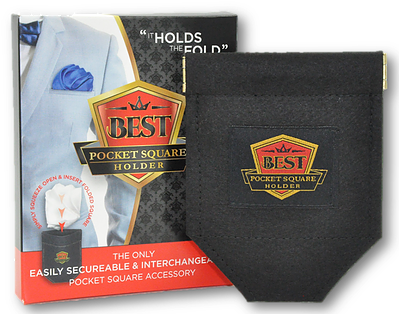 The Best Pocket Square Holder is a light weight durable product designed to HOLD THE FOLD of any pocket square or handkerchief permanently inside the breast pocket of a suit, tuxedo, sport coat or vest for work or a one time occasion. It is an essential for every man to have in his closet. "It is a suit jacket's BEST Friend!"